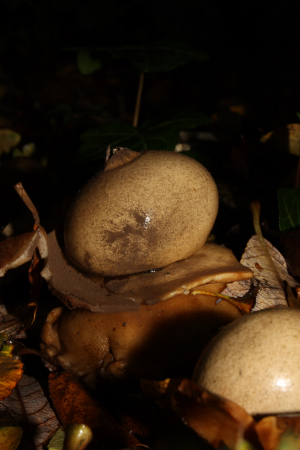 Observation - Earthstar Fungus - UK and Ireland. Description: An Earthstar. Apologies for the flash photography (and resulting highlights and 'flat' images) - light was very poor today. An Earthstar. Apologies for the flash photography (and resulting highlights and 'flat' images) - light was very poor today.